Apply for a Cuisine or Pâtisserie Diploma programme or Grand Diplôme before February 28 to start Term 2 in April or Term 3 in July 2019, and receive a New Year’s gift from Le Cordon Bleu Ottawa – a gift card with a value of $200 CDN that can be used at your choice of: Short Courses; Signatures Restaurant by Le Cordon Bleu; or our Boutique. But hurry, the deadline is February 28, 2019, and spots for Term 2 and Term 3 are filling up. to: knavarro@cordonbleu.edu. For online applications, please write the code in any one of the available text boxes. You will receive your gift voucher on the orientation day when you begin your studies at Le Cordon Bleu Ottawa. Applicable for both Cuisine and Patisserie courses (only new Basic certificate or Diploma applications including the Grand Diplome). Only applicable for confirmed enrolments for Terms 2 and 3 in 2019. Only applicable for applications received from December 8th, 2018 to February 28th, 2019. Entry requirements and admissions procedures remain unchanged. Students who cancel their applications or withdraw before starting their course will not receive the gift voucher. The gift voucher is valid for 6 months after the start of the student’s course. 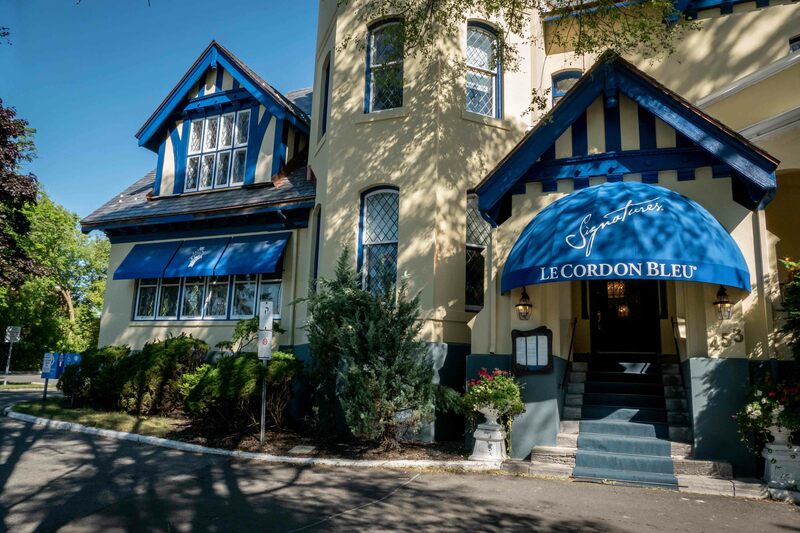 The voucher can only be used for one of the following (select one): Short Courses at Le Cordon Bleu Ottawa; Boutique purchases; or at Signatures Restaurant by Le Cordon Bleu (food only, excludes alcohol). No cash value. Once booked, Short Courses cannot be cancelled for refund or exchange. Standard terms and conditions for gift vouchers apply.